Leigh McGaghey is a landscape architect and former TAFE lecturer in contract law. She has also written syllabus material for TAFE on sustainability, landscape design and construction, arboriculture and environmental law. She currently delivers workshops that blend psychology and gardening. 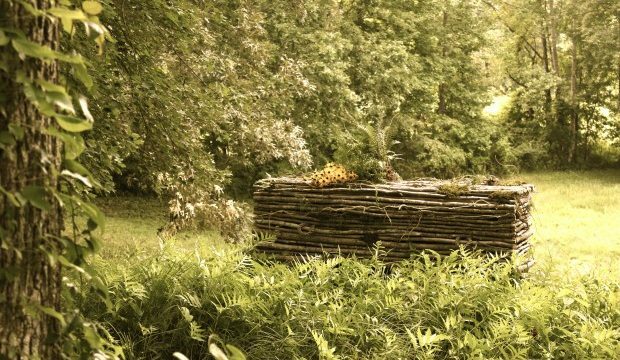 The trend of the green/natural burial is taking root. Simply put, when you pass, your body goes back to nature. However, the trend is far more developed than you think. For some reason, indoor plants are back in. But if you’re anything like me, mistakes have been made. So I’ll compile a list of characters that can withstand all sorts of abuse. Unfortunately, a slice of mindfulness doesn’t come in a Tim Tam packet, but lies in the green space of your yard. Fraternising with your plants is the first step to switching that busy mind off.